Make $350 to $500 for only one day’s work per week looking after claw machines in Kerang! If you are looking to start a business venture near Swan Hill area, this Kerang franchise opportunity should be the most profitable business for you! Request a quote- it’s FREE. 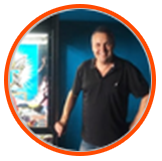 A Koalakrane franchise lets you earn by setting up arcade vending machines in a profitable location in Kerang. This maintenance free business allows you more time to spend with your family and on other important matters of your life. Koalakrane provides franchisees with complete support all the way, be it through technical, operational, and marketing advice and help. Koalakrane minimizes risk by allowing franchisees to follow an established business system that has been proven to work over many years. The Koalakrane franchise opportunity allows exclusive operations in a home territory. 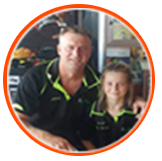 Be the sole franchisee to work around Swan Hill! Grab this business opportunity in Swan Hill area or someone else will!